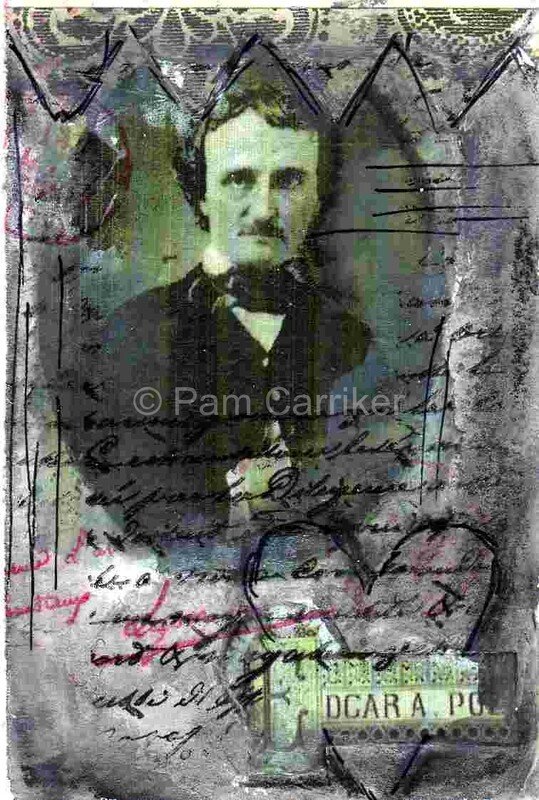 I just finished up a few Edgar Allen Poe inspired ATC’s to list in my etsy shop. These were so much fun to make! I use this wonderful Italian Watercolor paper with a soft, torn edge for my Artist Trading Cards. It is a great base to start a mini collage on, and takes paint really well. I always use a coating of gesso, front and back, to ensure my card lays flat. Then layers of paint, water soluble crayon, papers, gel medium, graphite, and charcoal, mixed with some stamped images, complete these miniature sized collages. Rigid plastic holders, make sure the work can be held and viewed without fear of damage. If you haven’t yet discovered ATC/ACEO’s take a minute to look them up on Etsy. They are so much fun to collect and trade! The Metsy Team, (Mixed Media on Etsy) is having a Fall ATC challenge. These are two of my entries. They had to have something to do with Halloween or Fall. Oooo love it!! Nice work Pam! Beautiful work on your Blog! 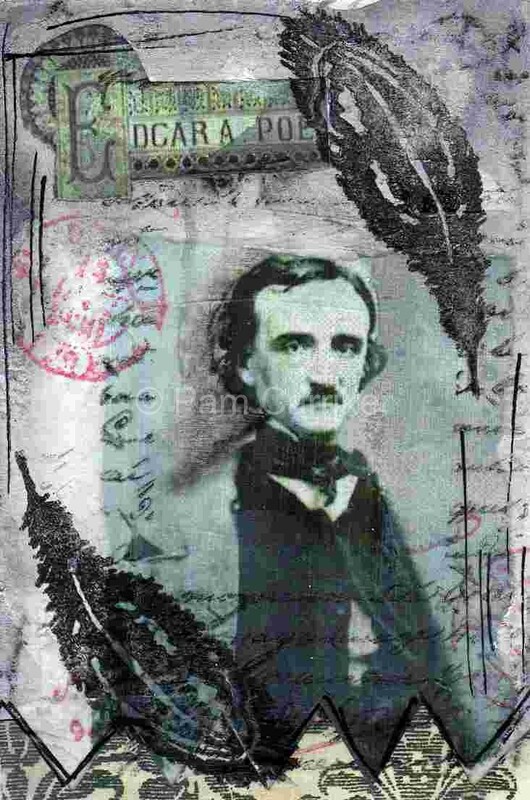 I have always been fascinated with Poe, your ATCs are wonderful ! Your ATCs looks so great, Pam!